The Beech Mountain Club has a beautiful eighteen hole golf course that was designed by Willard Byrd. The Club is open to owners and renters of qualified property here in Beech Mountain. 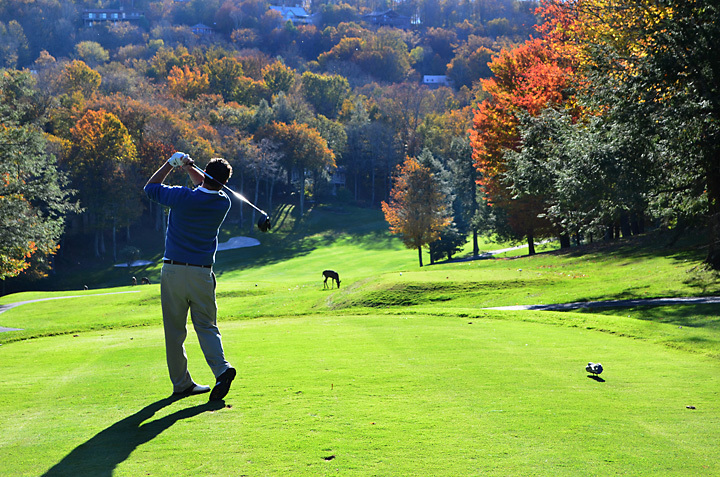 There are also many other courses within a short driving distance of Beech Mountain. 45 minutes from Beech; located 1½ miles south of Spruce Pine on Hwy. 226. Located in Seven Devils; 25 minutes from Beech. 3 miles south of West Jefferson; off US Hwy 221. Avery County’s first public golf course. Located 50 minutes away on US Hwy 421 North in Mountain City, TN. Located at the foot of Sugar Mountain; 15 minutes from Beech Mountain.